Cannabis and the 4th of July are a great combination. Lighting up on our nation’s Independence Day is certainly symbolic, but it’s also great when combined with lounging, enjoying the outdoors, hanging out with friends or just watching some fireworks. Adding cannabis to this mix can be done with ease in states that have legalized recreational marijuana. This list takes into account not only if cannabis is legal in the area, but how entrenched cannabis is in the local scene. Nevada recently legalized cannabis, and enjoying it in that state is legal, but dispensaries are thin on the ground and local law enforcement is still playing catch-up with the new legislation. For folks hoping to fly into Las Vegas and expect the cannabis scene to be as entrenched as San Francisco’s, they should wait a while before considering it a canna-friendly destination. Colorado, California, Oregon, and Washington have adjusted to new cannabis laws for enough time that it has become normalized in those states. California is still under medical-only cannabis laws until January 1st, 2018, but its relaxed program means many Californians still can get a medical recommendation with ease. Maine is also an option for those who can’t travel too far from the east coast, but recreational sales won’t begin until next year. In all of these places, cannabis is still illegal on federal lands, like parks and campgrounds, so plan your holiday accordingly. Why consider it for the 4th: an escape from the big city with enough waterfront views for everyone. This destination is located the farthest north out of the rest of our recommendations, and it’s a great place to escape the summer heat, if only a little. Ferries are a part of life in the area, and quick rides can get you to the heart of the city or in the middle of nature within a short amount of time. Bellevue hosts one of the area’s best fireworks displays, and the Bellevue Four on the 4th Dog Jog is a local favorite for dog owners. Why consider it for the 4th: Small town vibe in a very cannabis-friendly state. Boulder comes out of hibernation for summer, and the city really embraces Independence Day with huge fireworks displays, family-friendly activities, and plenty of cannabis. As a Colorado town, it’s familiar with canna-tourists. If you can plan ahead, reserve tickets for the local Budz, Sudz, Grow & Dispensary tour. The state is also home to canna-friendly accommodations, so it’s the perfect destination for an all-cannabis holiday. Why consider it for the 4th: A destination for outdoor activities with family. And cannabis. Central Oregon is a quick flight from Portland. Fly into RDM on major carriers and Bend is a 20-minute drive from the sleepy airport. This former mill town is home to some of the best cannabis in the state, and knowing your cannabis hasn’t traveled far means you’re getting some of the freshest herb available. Downtown Bend has a family-friendly 4th of July celebration with food and fireworks, but hit up the town’s cannabis tours after you’ve done all the hiking, biking, fishing and rafting you can handle. Why consider it for the 4th: Instagram-worthy events for extroverts. One of the best-kept secrets about LA is the fact that people tend to leave the city for major holidays, but Independence Day seems to be the exception, with thousands of SoCal residents head to the beach or to the Rose Bowl for fireworks. Venice Beach is home to the 4th of July Mr. & Mrs. Venice Beach competition, and is an event that makes a trip to Venice even more memorable. The celebrations at the Hollywood Bowl really do the venue justice, which allows you to bring a picnic and your own booze. 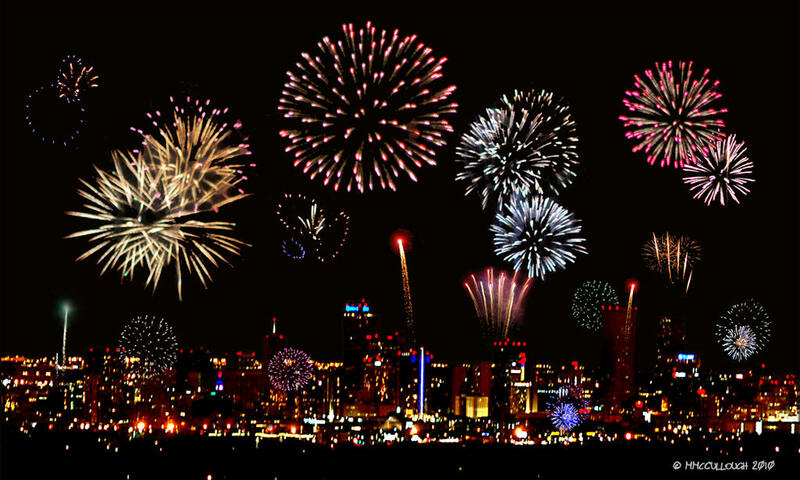 Denver packs in a lot of activities for the days surrounding the 4th of July. Combining it with its tourist-friendly cannabis market means you can enjoy Independence Day in a city where cannabis has been normalized moreso than any other destination in the United States. This year, Denver Comic con’s last day falls on July 2nd and the annual Cherry Creek Arts Festival ends on July 3rd, so you can hit up both events before celebrating the 4th at Elitch Gardens. Home to this year’s Norcal Cannabis Cup and Emerald Cup, Sonoma has embraced the cannabis trade alongside their wine and food cultures. A quick drive from nearby San Francisco means Norcal residents can pick up their favorite cannabis products on the way to enjoying their vacation, although there are some great dispensaries in the region. Head to Healdsburg for their small-town 4th of July activities, or escape to the beach to cool off. This post was originally published on June 27, 2017, it was updated on October 5, 2017. Kristin Brandis is a freelance writer and medical marijuana patient from the Pacific Northwest.